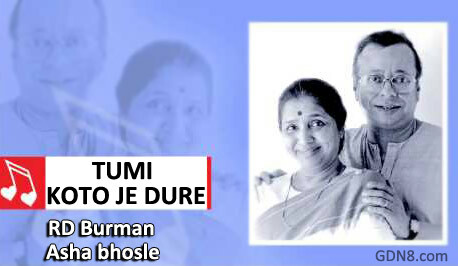 Tumi Koto Je Dure Lyrics from Fire Elam Bengali Album. The song is sung by Rahul Dev Burman And Asha bhosle. Remake version is sung by Mita Chatterjee, Sudesh Bhosle. Tumi Kato Je Dure Lyrics. Tomate mishe Tomake aami ghire achi..
Ami je eka bolo Tumi kothay ?